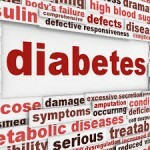 Americans have 40% risk of developing Diabetes. CDC recommends preventative measures. The Centers for Disease Control and Prevention (CDC) has published a study revealing the public health crisis that Americans are facing; with a forty percent risk of developing diabetes. The researchers recommend wide spread preventative measures including nutritional counseling and lifestyle changes incorporating weight loss and physical activity. “Health professionals are in agreement that nutrition services are one of the first treatments individuals should receive to improve conditions such as diabetes and its related complications,” said registered dietitian nutritionist and Academy Spokesperson Angela Ginn. “Research has shown that weight loss through moderate diet changes and physical activity plays a significant role in preventing or delaying diabetes and its complications such as heart disease, stroke, kidney disease, blindness, nerve damage and other health problems. A registered dietitian nutritionist is one of your best resources for developing a plan to make these lifestyle changes,” said Ginn, who is also a certified diabetes educator. “Check with your insurance plan for specific medical nutrition therapy coverage details. Your plan may cover nutrition counseling for chronic conditions and health concerns like diabetes and prediabetes. Together with a registered dietitian nutritionist, you can set nutrition goals to improve your health,” Ginn said. ← New Study reveals impact of Glyphosate on Bees.